Can you believe tomorrow is Christmas Eve? This month and this whole year seem to have flown by. 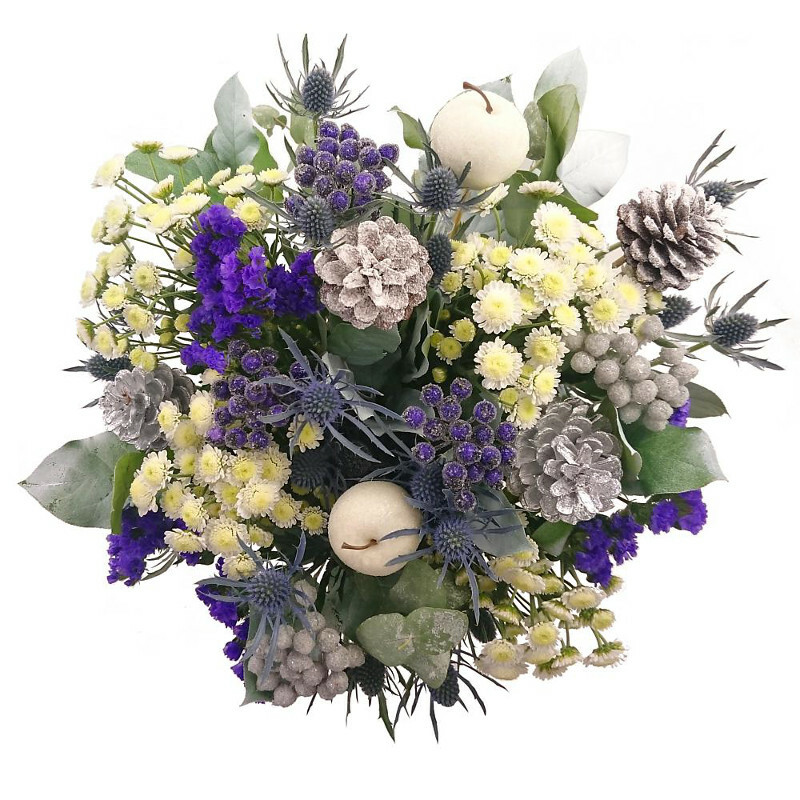 Here at Clare Florist HQ as I type this our florists are busy arranging and boxing beautiful fresh Christmas Flower bouquets for overnight delivery in time for the big day. Our couriers are delivering right up until Christmas Day, so it's still not too late to get an impressive last minute gift! After Christmas the next big event is just round the corner; New Year 2016. To celebrate, we've created a special Happy Hogmanay Bouquet which is perfect for lending a touch of glitz, glamour and beauty to your new year's eve and new year's day celebrations. 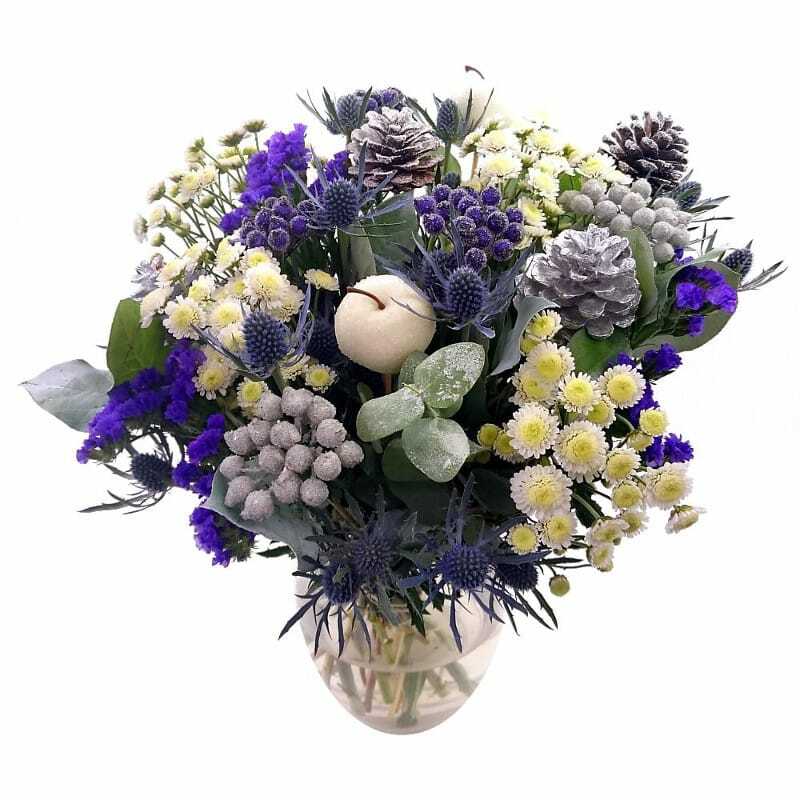 This gorgeous celebratory bouquet has been designed with statice and santini flowers which are then marvellously complemented by frosted berries and silver pine cones. We then add some festive greenery, a truly magical finishing touch. The Clare Florist Happy Hogmanay Bouquet would make a great gift for your relative if they are hosting a new year's day dinner. Or if you've drawn the short straw this year and are having everyone over, why not order this lovely arrangement as an spellbinding decorative centrepiece for the dinner table. With its subtle and elegant blue and white hues, this impressive bouquet will complement any interior decor scheme. Well, that about wraps up our blog for this year at least, all that remains is for us to wish you all a very merry Christmas and a tremendously happy new year. We'll catch up with you in 2016 when we'll be back with all the latest news, offers and articles on all things flower-related.